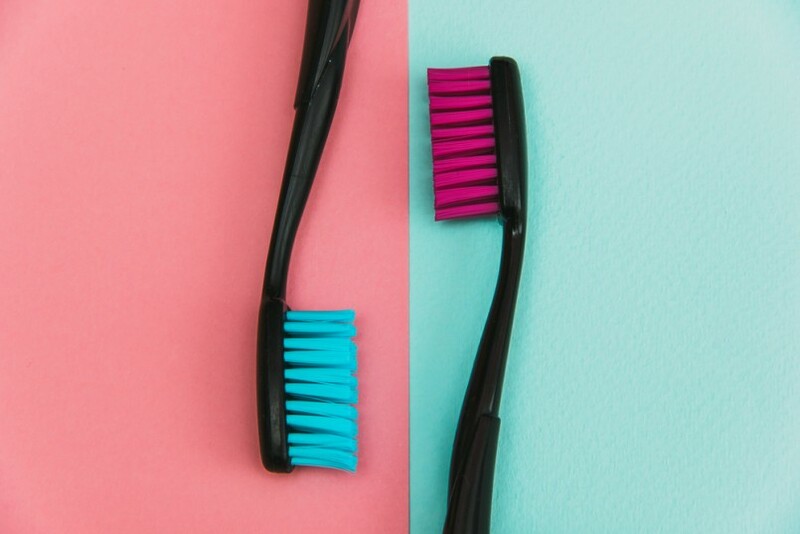 Think a toothbrush is just for brushing teeth? Think again. If you’ve ever gone to the dentist, you probably have cheap sample toothbrushes lying around. It’s not very helpful if you already use an electric toothbrush, or you’re devoted to a different brand. So below are fifteen beauty hacks using a toothbrush to put those unused toothbrushes to use. Clean nails: Use a soft-bristled brush to scrub under your nails and around your cuticles to get them extra clean. Tease hair: A popular use for a toothbrush is to use it to tease hair. Simply brush your hair that’s near the scalp towards the root for some extra volume. Help with dry shampoo: Spot clean with a dry shampoo by applying it to your roots or other troubled areas more carefully with a toothbrush. Make lashes more even: Have the dreaded clumped mascara? Simply swipe your eyelashes in an outward motion with a toothbrush to smooth them out. Get rid of self-tanner: Got some self-tanner where you don’t want it, like your hands? Combine two parts water to one part lemon juice, and add a palmful of baking soda. Scrub using the mixture and a toothbrush to get rid of the stains. Rescue the hair dryer vent: Have lint trapped in the vent of your hair dryer? Scrub at it with a toothbrush to clear that gunk out. Create nail art patterns: Apply a solid basecoat of nail polish, and let it dry. Then dip a toothbrush into a contrasting shade. Dab the toothbrush on your nails for a fun, abstract look. Exfoliate lips: Toothbrushes also make easy, reusable lip exfoliator tools. Use a slick base to make rubbing easier, like petroleum jelly or olive oil, and scrub away to moisturize and exfoliate. Take care of ingrown hairs: To get rid of those pesky ingrown hairs, use an exfoliator and a toothbrush to gently scrub at the hair to release it. Curb flyaways: To get rid of those annoying flyaways, spray a toothbrush with hairspray and then brush them in place. Clean other beauty tools: Toothbrushes are great for scrubbing the gunk off of other makeup brushes. Apply hair color: Toothbrushes are useful for applying hair color (be it permanent or hair chalk) in subtle, wispy highlights. Get textured hair: Simply tease your hair with a toothbrush to give parts of your hair, like braids, some added texture. Exfoliate callouses: Have stubbornly rough skin on your feet and elbows? Combine enough olive oil and white sugar to form a paste. And then use the mixture and a toothbrush to scrub away those callouses. Tame eyebrows: Spray a toothbrush with some hairspray and comb those unruly eyebrows back into place. How to color melt your hair: It’s not as extreme as it sounds!